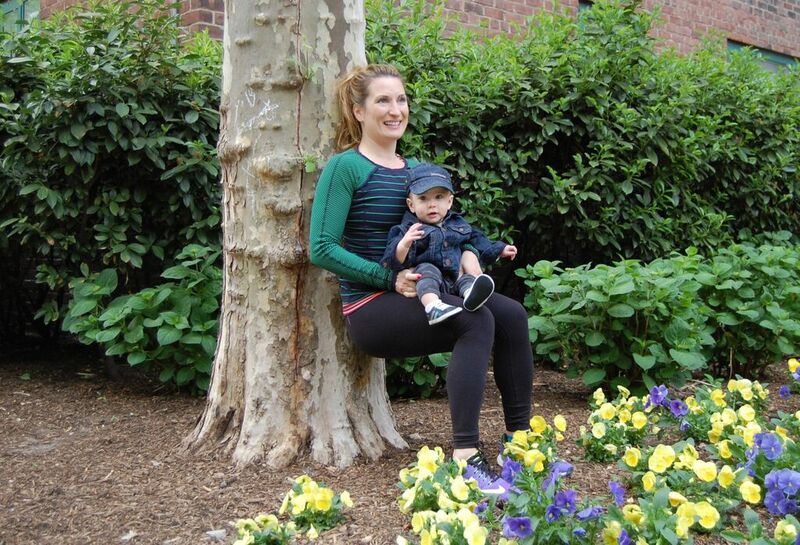 Before I had a baby, my preferred weapon of choice during my workouts were kettle bells. After baby? The most effective, and arguably cutest workout partner, is my nine month old. 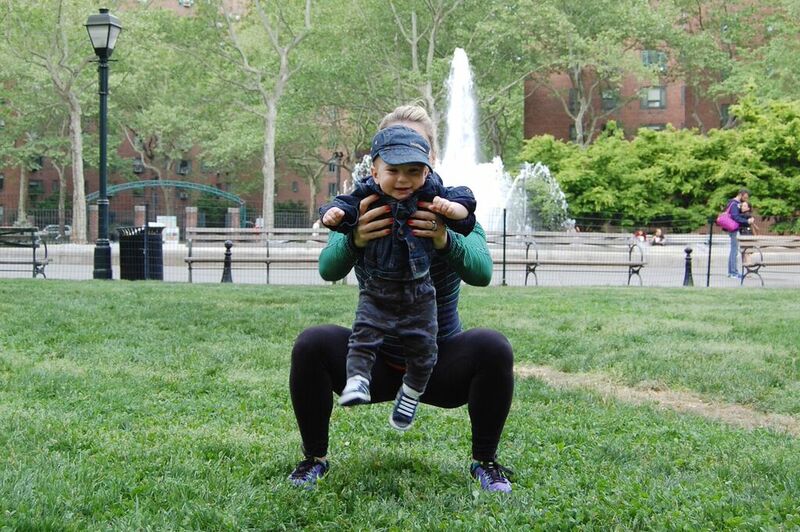 You can incorporate your little one into almost every workout for each muscle group. Leg lifts are a great way to work your lower abs. Working your lower abdominals can help improve balance and stability. While working the abs they also help support your lower back, a vital mommy muscle. I do this exercise to round out my ab routine. Auggie loves when I give him love taps with my toes on his bum! This total body blaster works legs and arms all at one. Targeting glutes, core, and shoulders, do this exercise a few times with your little one and you will break a sweat in no time all while strengthening your entire body. Total body movements are great to do because they will prepare you for daily life tasks. I like to incorporate this movement when I want to make my workouts more challenging. Add extra reps to kick it up a notch and break a sweat. Auggie loves to be lifted high into the sky! This exercise targets your legs. Repetitions of Wall Sits will help give you legs that can withstand prolonged strenuous activities like squatting down on floor with your baby OR activities like skiing. I like to do this exercise in between sets of other high intensity movements (like burpees without baby of course) and in prep for ski season or just everyday life with baby.